Traces of the first settlement found in the south-western coasts of Tinos, in the nearby area of Kardiani, belong to Neolithic and Protocladic Age. In 776 B.C., Tinos is under Eretrian Rule and in 650 B.C. it passed under the custody of Athens. Following, Tinos was a member of the Alliance of Athens. Later, Tinos was subdued in the Roman part of Asia and during the 1st century suffered because of Roman conflicts with the Pontus King Mithridates on the one hand and from pirates on the other. Many statues in the temple of Neptune were destroyed then. In the Byzantine period, it suffered raids and was looted by Arabs and Saracens. The islanders faced not a few problems at the time. Part of the population emigrated to safer destinations. Decay was the result. 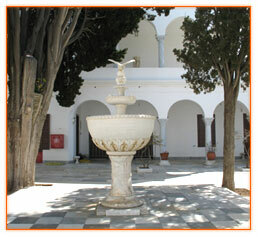 In 1204, Tinos was sold to brothers Andrew and Jeremiah Ghisi, Venetian aristocrats. From 1418 till 1429, it was rented to Ordefad Faledro with annual rent of 1,000 hyperpyra. 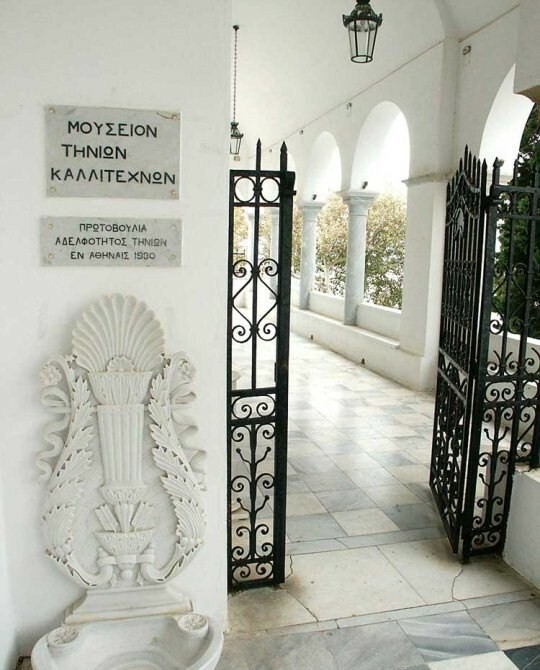 Tinos’ people were not happy from the way he would exercise his authority and they submitted a relevant request in Venice. In 1537, it was captured without a battle by Chairentin Barbarossa but they soon uprose and asked for Venetian help. Barbarossa returned in the same year with a view to recapture it. He sent a delegate to the castle where the islanders had found shelter asking them to surrender but their answer was to throw the delegate off the cliff. He was defeated in the battle to follow. During Turkish possession a big part gradually started immigrating or turning to Orthodoxy. Important privileges had been offered like the Turkish fleet which could not approach the island less than 12 miles off the coast, also the islanders could wear a hat and not a fez etc. Command was exercised by a kind of senate of 5 members. Annual tax was 33,000 gross which would add up to 70,000 together with other extra taxes. Turks would not be permanent inhabitants of the island but for an Aga and his cadi who would rarely be on the island. In 1770 and till 1774 the island goes to Russians. Until 1821, Tinos was the economic capitals of the Cyclades with about a population of 30,000.There were embassies and minor embassies of France, Russia, England, Denmark and Spain on the island. Revolution started in the village Pyrgos on the 31st March with George Palamares and in the city of Tinos on the 20th April. About 5,000 Tinians took part on ship from Spetses, Psara and Hydra. 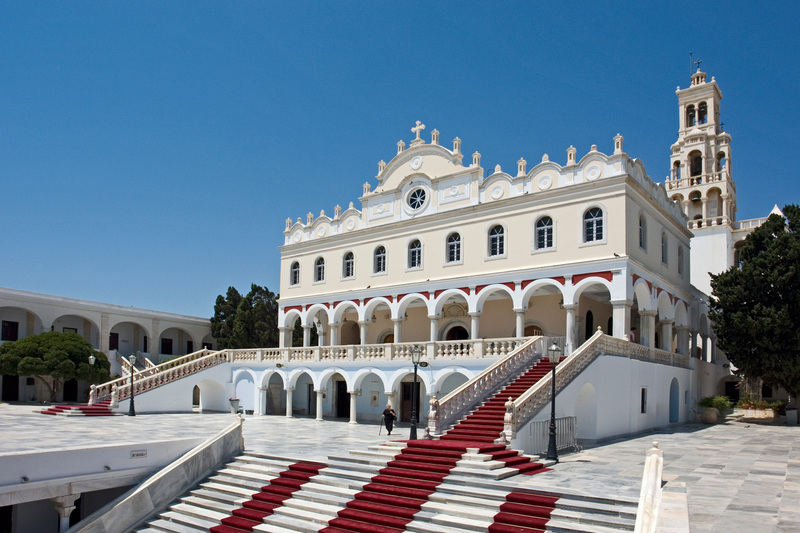 Tinos is famous for the church of Holy Mary. The church was built on the spot where Virgin Mary’s iconwas found after the vision of nun Pelagia. The icon is regarded as miraculous. Its discovery in 1823 was considered to be a divine omen for the success of the Revolution against Turks. The erection of the church was the first great architecture after the constitution of the Greek State. A local dish of Tinos is a kind of omelette with artichokes and fennel pancakes. You can also find almond sweets along with many others. 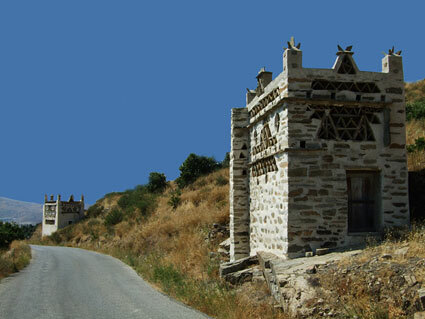 On Tinos Island you could find many villages with 750 churches in total.